anyone have a link for towelroot version 2? This does not have FM inbuilt, but it has a TV antenna. Any work around to get FM functional for India using the TV receiver? AnonD-284999, 30 Jul 2014Wohoooo!!! Thank you TowelRoot! It really WORKED rooting my LG VU 2 4.4.2 Kitkat.Hi, which towelroot version did you use? It really WORKED rooting my LG VU 2 4.4.2 Kitkat. saima, 21 Jul 2014My lg set is not registraing its google account for play store it give an error all the time t... morehi. try logout your google account then clear the data of your google play or google services. (it is found on app manager) then try to login your account. then download or update your apps. im not sure at this but ive done this before. @fiifi do have a link for towelroot v2? FIIFI, 24 Jul 2014Its sooo coll...only problem is how to root it after upgradingguys!!! you can use towelroot version 2 to root it after every reboot. version 1 and version 3 does not work. 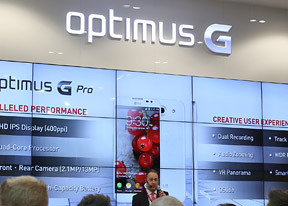 AnonD-287661, 26 Jul 2014according to the specs i am very keen on this device but can anyone tell me how high end ganes... moreTo root the LG OPTIMUS VU2 running 4.4.2..Use towelroot version 2. U have to re-root after every reboot you do. according to the specs i am very keen on this device but can anyone tell me how high end ganes like asphalt 8 and nova perform on this device???? very exceptional all around phone, even auto-updated to 4.4.2 by LG. What a bargain high end phone for those appreciate good phone, but no need to be seen with the latest gadget loaded smartphone.highly recommended!!!! How do I root my LG VU 2 after upgrading it to kitkat? janella, 22 Jul 2014I updated my lg vu 2 I updated my lg vu2 to kitkat 4.2.2 last night..
Now im experiencing ghost touch on my phone.. Anyone experience it? Any fix? Please help.. Thank you..
AnonD-284999, 19 Jul 2014For those who have updated your F200K, how was your experience using Kitkat 4.4.2? Is it reall... moreI did upgrade my device to kitkat 4.4.2. There's a little lag when swiping the menu after you exited a program and back to the main desktop again only for a few seconds. Somehow i do get a better wifi connection compared to 4.1.2. Qslide features is one of the added bonus and an updated keyboard. Overall it is a major improvement from jellybean. All i needed now is how to root my phone.